During each of the last 2 weeks* I’ve attended discussions hosted by Rep. Keven Stratton, R-Orem, at the Utah State Capitol regarding House Bill 115. The bill is designed to begin to address what I consider to be the egregious and predatory practices of some towing companies, which tow cars without owner or police action. Towing companies would be required to accept credit cards for payment. Towing companies would be required to provide people being towed with a copy of ‘their bill of rights,’ which explains state statutes and city ordinances (where applicable) relating to charges, operating procedures, methods of contesting tows, etc. UDOT would study the rates tow companies charge and other aspects of the industry, the findings of which would be submitted to Mr. Stratton in the late summer of 2013. Cities’ and municipalities’ rights to regulate areas not addressed by the state would remain unchanged. In spite of this agreement, when the amended bill (HB 115) reflecting what was agreed upon was presented to the House Business and Labor Committee on Friday, March 1, the towing industry showed up en masse to oppose the bill. Those speaking in favor of the bill were Mayor Curtis, Gary Williams (Ogden City Attorney), a representative of the league of cities and me. If you would like to see the law changed to reduce/eliminate predatory towing in our city and state, please contact your Utah state house and senate legislators now! If you don’t know who they are or how to contact them, visit le.utah.gov for their names and contact information. The towing lobby in Utah is very strong and without substantial citizen input nothing is likely to happen. Let your voice be heard! The learn more about this topic or HB 115 see this report by Fox 13. Mike Roan is a more than 30 year veteran of the financial services industry. He has degrees from BYU and Northwestern University and is the neighborhood chair of the Riverside Neighborhood. He has lived in states all across the U.S., as well as Japan, Hong Kong, Singapore and other Asian countries. 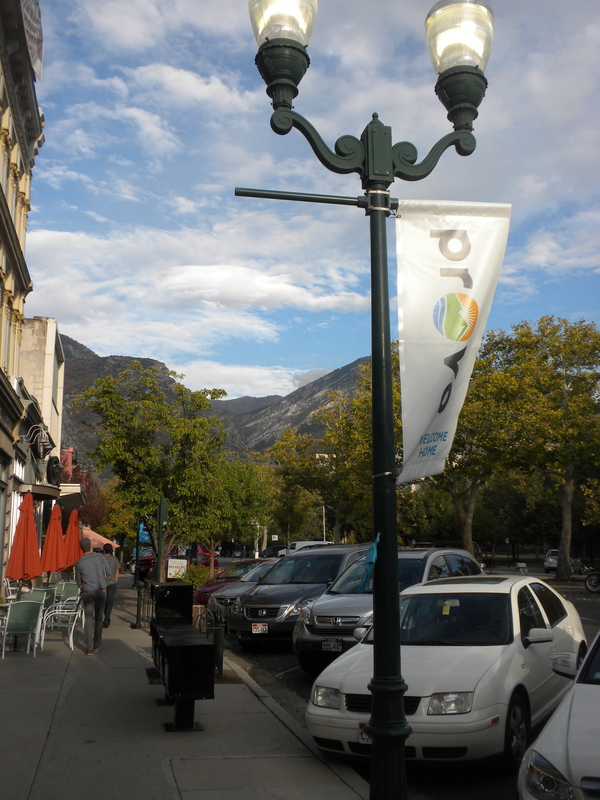 He is a father of six children, a graduate of Provo’s Citizens Academy, and has initiated a number of local initiatives. *Editor’s note: more time may have elapsed now because the editor took forever to post this after receiving it. 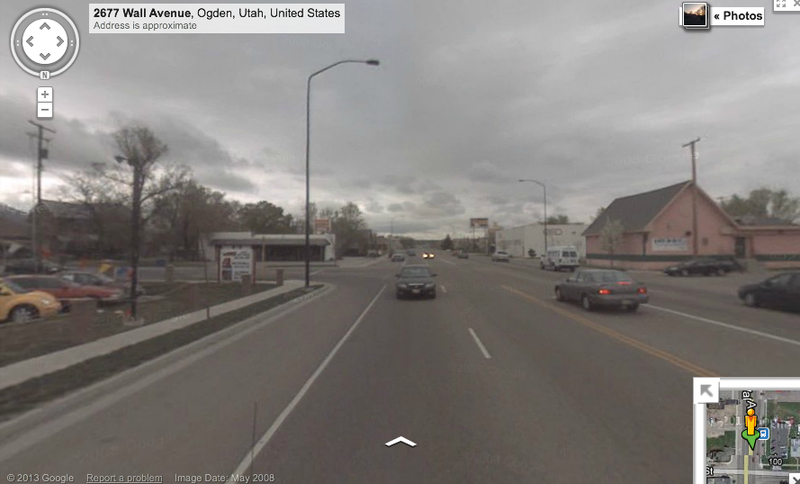 In the aftermath of a fatal auto-pedestrian accident in Ogden last week, Fox 13’s Ben Winslow followed the story as people became “outraged” over the lack of walkability in the area. Thobe is the second man to die while crossing Wall Avenue in two months. Peterson said Thobe’s best friend, David Saures, was killed on Christmas Eve while crossing Wall Ave.near Binford Street, about 300 feet away. The person who hit Saures and left him to die in the street has never been found, police said. Apparently UDOT is studying the need for some sort pedestrian safety device in the area. However, as my original post pointed out, this is a classic stroad and the underlying design is the biggest problem. I’d love to see more safety devices in all of these places, but ultimately they’re going to need some radical fixes to really bring about much improvement. It’s sort of like trying to make a bomb safe; in the end, the best way to render it inert is to dismantle it. The problem area is a stretch of Wall Avenue between 25th and 29th Streets. There are unmarked intersections, where police say drivers should stop for pedestrians. But because there are no crosswalks, the people who cross the road to head to the shelters say hardly anyone stops for them. People do jaywalk, and the street lighting at night is terrible. The danger is increased as the homeless make their way from the downtown area to the shelters to find a bed at night. It’s rare that the media gets a chance to report on these issues because they’re fairly wonkish and hard to cover without turning to advocacy. So it’s exciting to see Ben’s ongoing and excellent coverage. • The people being hit in this area are walking out of necessity, not choice. That’s key; with better design there would be more voluntary pedestrians, which would increase safety for everyone. As it is, it’s tragic that the people with the fewest options are also being killed. • Even a casual bystander can pick out the major problems here: too many lanes, fast speed limits, insufficient lighting, etc. How is it, then, that some traffic engineer was not able to see these problems? Or, perhaps the better question is why traffic engineers refuse to account for people in their designs. • Accidents along stroad are shouldn’t be surprising and won’t end on their own. I could go on, but the point is really very simple: bad design leads to carnage. Over the past few days several different friends have shared with me a post about how cars are parked 95 percent of the time. So, I guess I better get blogging on this topic! 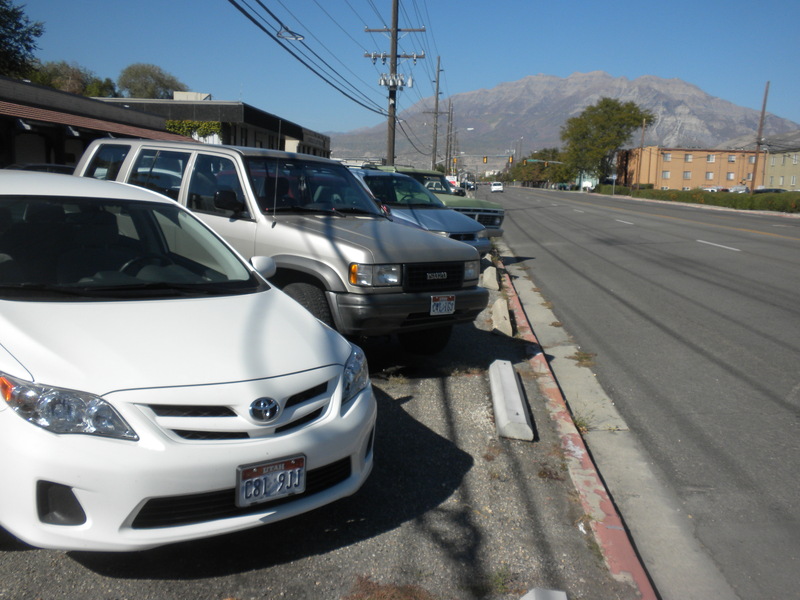 Parked cars in Provo. Note how what should be a sidewalk here is actually a parking lot. So this spot is particularly awful. The post offers three different methods for testing how much of the time cars are parked. They’re all pretty easy to do, and the author ulimately concludes that Donald Shoup — author of The High Cost of Free Parking, among other things — is correct when he argues that cars are parked most of the time. So, yeah, that’s basically a waste of resources. One reason to talk about this is to highlight the importance of parking. It is what cars do the vast majority of the time. In other words, it would be much more efficient, almost mind-bogglingly so, if we only had the number of cars in a city that were needed at any given moment. So, I might need a car for 30 minutes at 9 am and you might need one for an hour at noon. Right now, we both probably have our own cars, but it would really make more sense for us to have just one car between us. On both individual and city-wide scales this would translate into huge savings, greater efficiency, and generally prettier spaces. Parked cars on Center Street. Its also worth mentioning that if cars are parked nearly all the time they’re not really “mobility” machines so much as they are space-wasting devices. In other words, though we think about cars as a means of transportation, that’s almost incidental when compared to their “primary” role, which is sitting around. There are a lot of implications to this reasoning, but if nothing else presenting and discussing the situation more honestly would probably help us tackle problems like too much parking and too many cars. 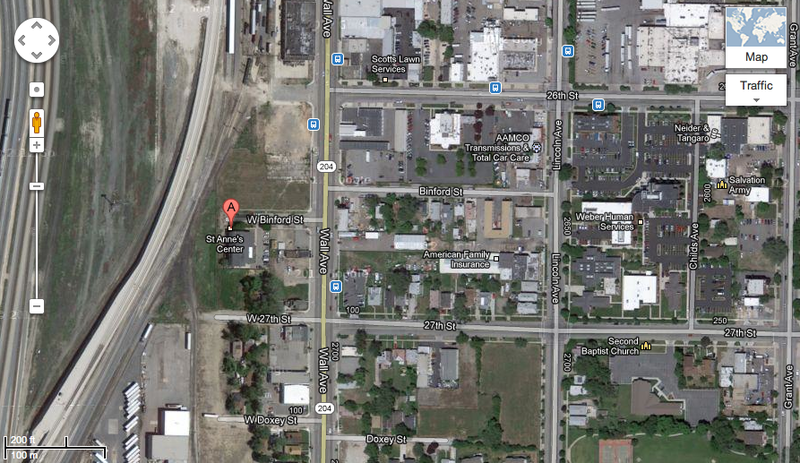 Earlier this week, Fox 13’s Ben Winslow reported on a fatal auto-pedestrian accident in Ogden. 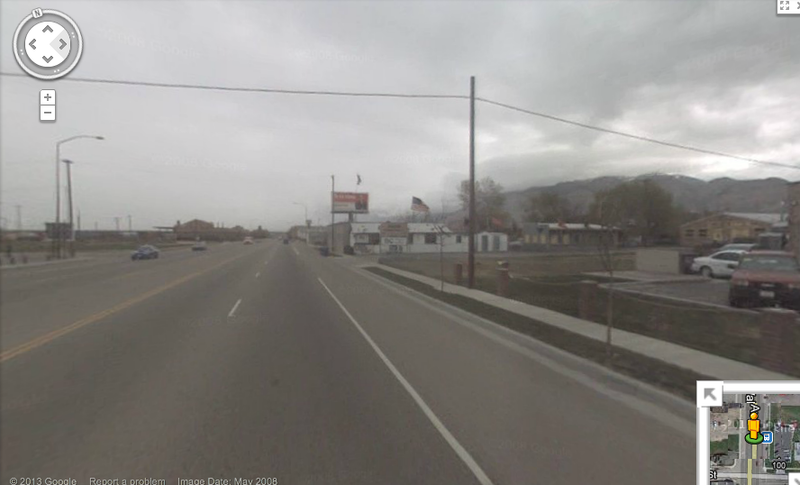 After Ben’s original story on the fatality on Christmas Eve, UDOT apparently also said they were considering* putting in a pedestrian light in this spot. Judging from these pictures I’m skeptical that a pedestrian light would make a huge difference, though anything would certainly help; as is so often the case with these types of accidents, this area is marked by over-wide stroads that are completely hostile to pedestrians. It’s dangerous, ugly, inconvenient and actively encourages unsafe behavior, such as speeding or ignoring foot traffic. It’s baffling that someone was even walking in this spot in the first place, given how unpleasant it looks. I feel like I’m beating a dead horse with these accident posts, but they keep happening so I keep pointing out the obvious: people will continue to die needlessly as long as we have atrociously designed streets like this. *This post originally stated that Ben Winslow reported that UDOT would put in a pedestrian light. He actually reported that they were considering putting one in. 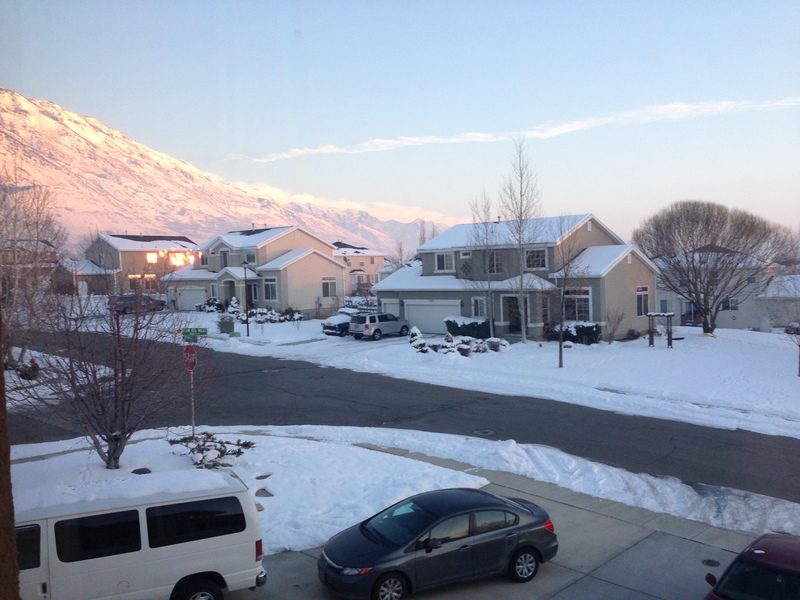 Last month, I argued that Provo gets narrower streets after snow storms and that those narrow streets work just fine. The point was that we should be building new narrow streets and slimming the ones we already have because, clearly, they work. The video focuses on “neckdowns,” or elements added to street corners to slow cars as they turn. The idea is to increase safety for pedestrians and, as the video points out, the cars aren’t really using the space anyway. The takeaway here is that after snow storms we often have working examples of how our own streets should be structured; we don’t need to rely on distant case studies or theoretical models. Instead, we just need to walk outside a few days after a snow storm, look at how much street is being used, and only plan to build that. Everyone knows why the United States Post Office has floundered: the internet. It’s an excuse that has been dragged through the media so often in recent years that it seems irrefutable. And certainly it’s true to a large extent. 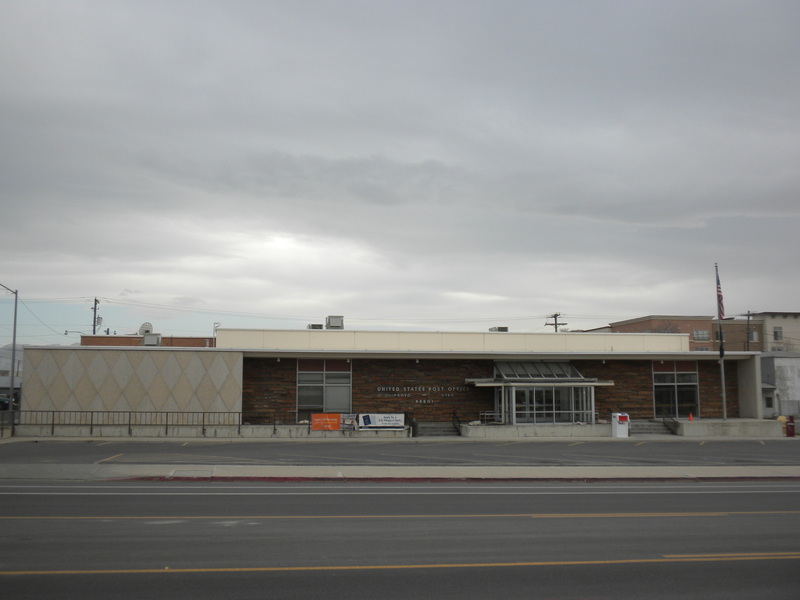 The post office in downtown Provo. But this week’s announcement that USPS was cutting Saturday delivery is illuminative because it shows that the organization can’t meet its physical obligations. To save money, it’s trying to cut the amount it spends on fuel, labor and physical infrastructure. USPS was spread too thin. Or in other words, low density sprawl is killing the post office. The problem is that USPS charges the same rates to deliver to a low density Arizona suburb as it charges to deliver to a high density Manhattan neighborhood. However, the cost to deliver to these locations is vastly different; in Manhattan the time and fuel spent per delivery is low because one carrier can make one trip and turn over a lot of parcels. In Arizona, however, a mail carrier spends considerably more time and fuel going from house to house. Over large distances, these costs add up. Not coincidentally, USPS is now hoping to save money by reducing the amount of time and fuel it spends making deliveries. Or said another way, density clusters destinations together, reducing the expense of getting to them. It’s also worth mentioning that the USPS business model was developed before our modern, wildly inefficient form of sprawl — or Suburban Hell — existed. Private carriers charge substantially more to deliver parcels to rural locations. According to the UPS website, the lowest rate to deliver a four-pound package from New York City to White Owl, S.D., is $20.51. The Postal Service, which is under pressure from the federal government to provide affordable service to remote locations, charges just $12.07 to deliver the same box. Though the author calls for USPS to respond to the market with greater agility, the solution it suggests — and which is already working for other carriers — is essentially density-based pricing. Send a carrier to a lower density place where productivity falls, and you’ll have to pay more. Distance as a factor in pricing is an intuitive idea and it works in basically every other industry. Flying from Salt Lake City to Singapore, for example, is more expensive than flying from Salt Lake to Denver. A papaya, which probably comes from overseas, usually costs more than an apple, which may have been grown domestically. Sprawl increases shipping distances. And when you’re delivering to every single house in the U.S. every single day, those distances add up quickly. USPS failed to respond. In other words, USPS charges high or medium density prices even for deliveries to low density areas. If USPS were profitable, it would mean that high density customers were subsidizing low density customers. But in reality no one is subsidizing low density customers, hence the lack of profitability. In this regard, USPS is a victim of inefficient development patterns; it couldn’t solve its problems by forcing America to stop building sprawl. But the situation vividly illustrates how sprawl erodes quality of life and the amenities we may previously have taken for granted. We’re overextended and if we don’t change the end of Saturday mail will be the least of our problems. Hopefully, the USPS announcement serves as the canary in the coal mine that prepares us for more sprawl-induced social cutbacks. Delivering mail to these homes is relatively expensive compared to the cost of delivering to the (still not very high density) apartments in the next picture. 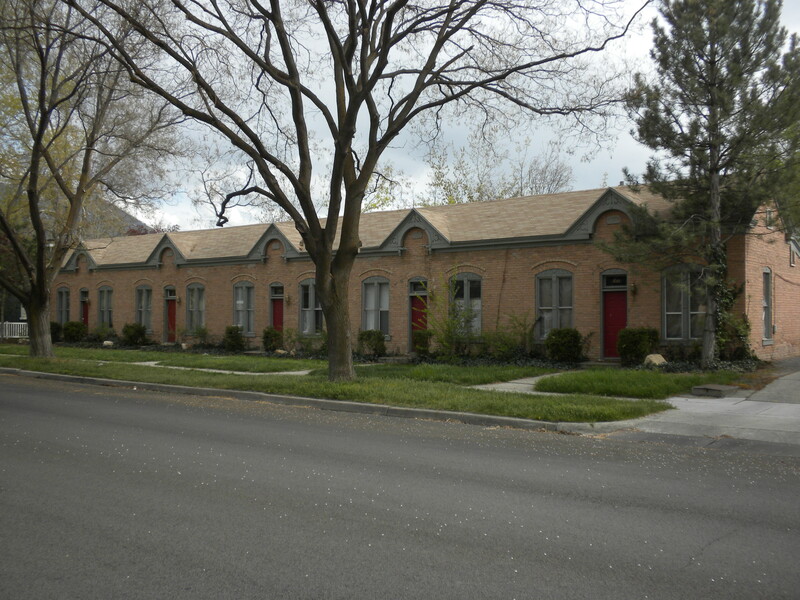 A postal carrier can reach all five of these residences in the same time it takes to reach one or two of the homes in the picture above. Imagine if every time you bought a gallon of milk, a law required you to pour the last third of it down the drain. It’d be pretty frustrating and completely pointless. Why throw away something that’s perfectly good and that you’ve already paid for? But that’s exactly what we do when we tried to prevent or reduce street parking. Take my parents neighborhood in Cedar Hills. Like many places, the neighborhood apparently has a law against parking overnight. Practically speaking that means a third of the time no one will be parked on the street. It also means that every home has to include enough parking for several cars. 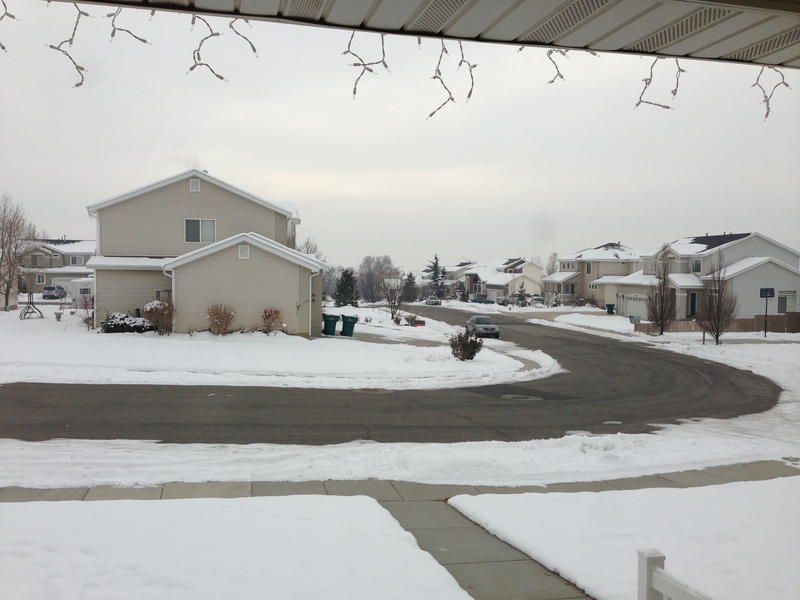 A street in Cedar Hills. Another view of that same street. Note how unnecessarily wide this street is as well. However, the residents of Cedar Hills are already paying for the streets in the form of taxes and housing costs that include insane amounts of parking. As I write this, for example, there are five cars parked on my parents property and there’s still enough room to play basketball in the driveway. Each home literally includes a parking lot. So in other words, the residents are paying for the streets but they aren’t allowed to actually use them. It’s like throwing away a third of the milk. Or, to use a more related metaphor, it’s like putting money into a parking meter but not being able to actually use the corresponding spot. It makes no sense. Thankfully Provo doesn’t have these same silly laws. Unfortunately, however, my impression is that many residents would like to get them. Based on conversations I’ve had over the years I get the sense that many people feel like there’s something wrong with street parking. And I suppose there is if your agenda includes wasting as much money as possible. In any case, our goal should be to maximize our investment in streets, which means getting as much use out of them as possible. One way to do that would be to add several more lanes for traffic — the streets are wide enough after all — though of course that would utterly destroy the neighborhoods themselves. A better way to maximize our investment would be to add uses to the streets that would cut down on loud, dangerous traffic. One great way to do that would be to add housing. But another, easier thing to add, is street parking. Parked cars typically make no noise and don’t hit anyone, and their presence tends to slow moving vehicles thereby improving safety. They also provide a safety barrier between moving vehicles and pedestrians. In a coming post I’ll suggest one way to add street parking and create safer, quieter streets. But for now let’s all just try to get over the idea that parking on the street is somehow bad, or low class, or ugly. It’s not. Rather it just means that we’re trying to milk our investment for all it’s worth. Parking cars on wide streets takes advantage of a resource we’ve already paid for. Impeding street parking on wide streets is simply wasteful.